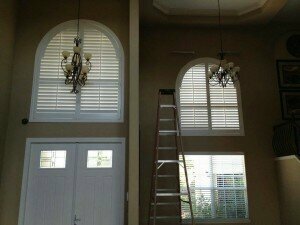 We offer several options of plantation shutters and can install them in your Lakeland, FL home. One of the most popular options for window coverings is plantation shutters, which offer a more budget-friendly way to maintain privacy and protect your belongings from sun damage. These types of shutters started in the southern part of the United States, often on large plantation homes, which is where they got their name. Custom draperies are quite expensive, so most people simply can’t afford to add those to their windows. Plantation shutters look like a custom option, but ring in at a much more affordable price. They also retain value, since shutters are typically something that stays with the home at the time of sale. If someone is looking to buy a home that already has durable and stylish window coverings, it adds value and appeal to your offering, since it eliminates the need for the buyer to spend extra money on them. At Jim’s Floor Depot, we offer several options of plantation shutters and can install them in your Lakeland, Florida home. One benefit of choosing plantation shutters instead of traditional shutters is the wider slats, which provide a better view into the yard outside. They also let in more light, which is perfect on a pleasant spring day. 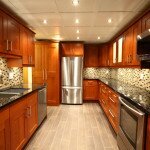 You can choose from a variety of sizes and styles, but the most common is 2 ½ inches in width. Large rooms with tall ceilings will look nice with larger shutters, such as the 3 ½-inch option. Plantation shutters are versatile, so you can easily hang them in bedrooms, bathrooms, kitchens, living rooms, dining rooms, and just about anywhere that you have a window. For more information about the plantation shutters we carry at Jim’s Floor Depot, contact us today!